After Lupita Nyong’o won an Academy Award for Best Supporting Actress in 2013’s 12 Years a Slave, she was hit with the same question many Oscar winners face: What’s next? In selecting her follow-up roles, Nyong’o surprised more than a few casual observers by not chasing big, awards-baiting film work. First, she provided the voices of Star Wars: The Force Awakens‘ Maz Kanata — the film’s closest parallel to Yoda — and The Jungle Book‘s protective mother wolf, Raksha. Then she took a step back from film altogether and signed on to star in a play instead. 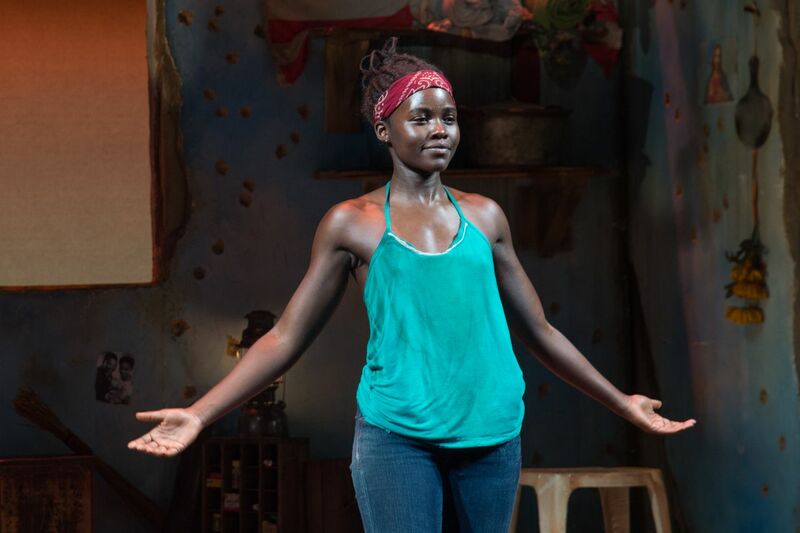 Related The Tony-nominated play Eclipsed made history this year. A win could make more. I mean, I’m an actress; why wouldn’t I want to be in an incredible, gorgeous, meaty piece about the complicated choices of women during wartime? But then it went deeper than that. To me it felt like a question about our value system in this culture, the ways we define success for ourselves as well as others. … I knew there was a sense of what was expected of me, but this play felt so important to me that I had to do it, expectations be damned. I think as women, as women of color, as black women, too often we hear about what we “need to do.” How we need to behave, what we need to wear, what’s deemed as too much or not enough, the cultural politics of what society considers appropriate for us and for our lives. … So often women of color are relegated to playing simple tropes: the sidekick, the best friend, the noble savage, or the clown. We are confined to being a simple and symbolic peripheral character — one who doesn’t have her own journey or emotional landscape. You can read Nyong’o’s full essay at Lenny Letter. Great quote, “So often women of color are relegated to playing simple tropes: the sidekick, the best friend” She sounds like such a wise woman, I hope and know we will see much more of her in broadway and hollywood.